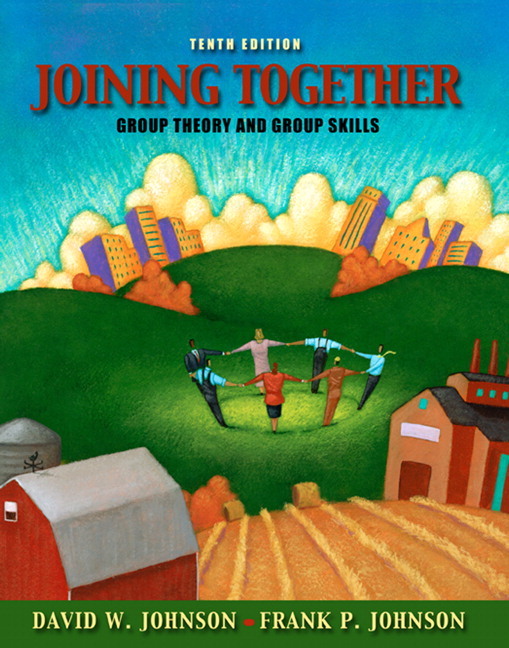 Joining Together introduces readers to the theory and research needed to understand how to make groups effective and, through exercises and thorough explanations, equips them with the skills required to apply that knowledge to practical situations. Chapters discuss the history of groups and group dynamics, the nature of experiential learning, group goals, communication within groups, leadership, power, decision making, controversy and creativity, and conflict management. More applied chapters focus on valuing diversity, cooperative learning, leading counseling groups, and team development and training. Bridges the gap between theory and practice by combining theoretical and empirical knowledge with practical applications to the groups with which readers work. 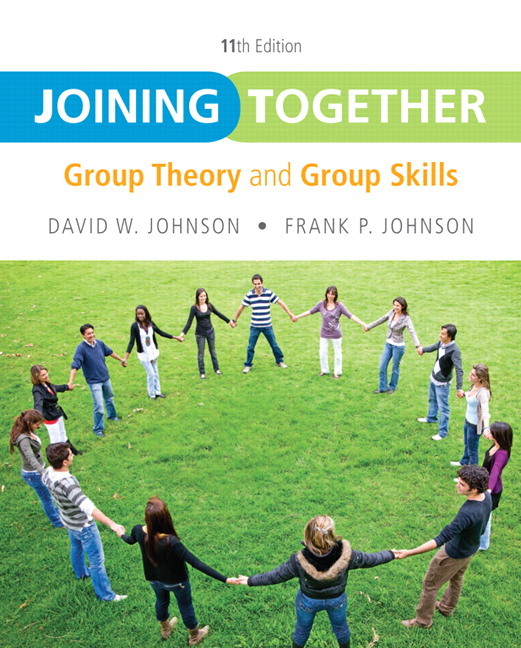 Continues to keep pace with the new developments in theory and research by updating what is known about group dynamics. While the readers of this book are diverse, Joining Together remains focused on the characteristic dynamics found in virtually all groups. Examples are used from all walks of life. Fosters aconceptual understanding of group dynamics through experiential exercises and simulations, as well as expertise in putting the concepts to use. Readers can improve their group skills by participating in the exercises. Provides a broad range of examples that are applicable to every area of life that involves group dynamics. 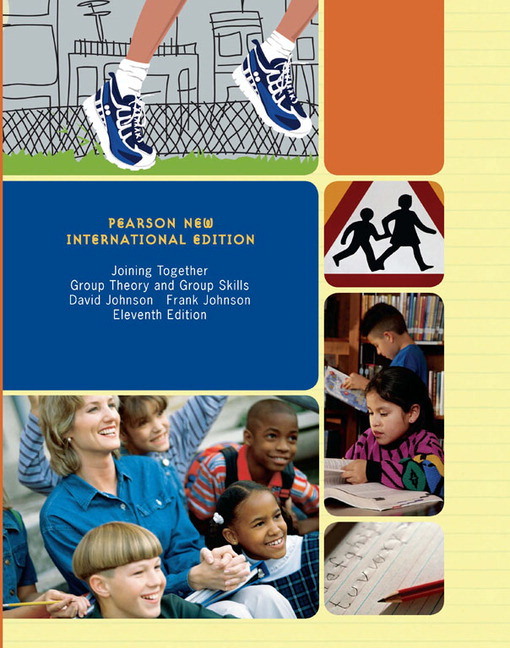 Integrates a series of diagnostic exercises throughout to text that allows students to evaluate their current levels of group dynamic skills and to provide a rationale for improving their skills in each area. New sections on controversy and creativity, including updated research on the theory of constructive controversy, the creative process, and a brand new diagnostic tool for evaluating the way in which readers make decisions. New set of exercises on the dynamics of intergroup conflict and negotiation. All new section on Restorative Justice, covering additional and related topics of Distributive Justice, Procedural Justice and Scope of Justice. Focus on new technologies: the phenomenon of online groups; digital decision-making skills. New sections on intergroup dependence, positive social relationships, psychological health and self-esteem. Expanded discussion of potential problems in decision-making. Greater focus on minority influence, group goals, and diversity. What If You Do Not Want to Be a Leader? Conflict Management Strategies: What Are You Like? David W. Johnson is a Professor of Educational Psychology at the University of Minnesota. He is Co-Director of the Cooperative Learning Center. He received his doctoral degree in social psychology from Columbia University. His research areas include social interdependence (cooperation and competition) and conflict resolution. He is a past-editor of the American Educational Research Journal. He has authored over 500 research articles and book chapters. He is the author of over 50 books, including Reaching Out: Interpersonal Effectiveness and Self-Actualization, Active Learning: Cooperation in the College Classroom, Cooperation in the Classroom, Creative Controversy, Teaching Students To Be Peacemakers, and Cooperation and Competition: Theory and Research. He has received numerous awards from such organizations as the American Psychological Association, the American Educational Research Association, and the Interactional Association for Conflict Management. Frank P. Johnson graduated from Ball State University with a Bachelor of Science in Education and received a Masters of Divinity from Andover Newton Theological School in Boston and his Doctor in Ministry degree from Louisville Presbyterian Theological School. He has 35 years experience in the field of Applied Behavioral Science, with professional recognition from NTL Institute of Applied Behavioral Science, Association for Creative Change, Consultant/Trainers Southwest, and the Mid-Atlantic Association for Training and Consulting. He was employed for 13 years at the University of Maryland Counseling Center, teaching group counseling, and, during that time was a Clinical Assistant Professor in the Maryland School of Psychiatry and Human Behavior. He has written many journal articles, contributed chapters to books, and is the co-author of Joining Together: Group Theory and Group Skills. He has been a consultant with a variety of organizations, including educational, governmental, religious, and industrial. From 1984 - 1996 he was employed at Ethyl Corporation as a Human Resources Development Associate. Since his retirement from Ethyl, he has served as an Interim Minister in several churches and is now employed as a Chaplain for Canon Hospice in Baton Rouge, Louisiana.